Cleveland Fires David Blatt. To LA? Kevin Ollie is my personal choice and believe he wouldn't have any problem leaving UCONN for LA if the opportunity presented itself. My top 2 guys are still Luke and Thibs. He turned us down last time, and said he wasn't interested in the NBA. so not sure how you could be so confident of that happening. Luke who knows, untried other than coaching the best team in the NBA this season. Mickey Mouse could have probably done as good a job. And Thibs most would say no. He wears players out to the point they break down. I don't want Luke because of the Warriors' success. I want Luke because despite having great players on their roster, none of them show any ego and continue to pass the rock and get everyone involved. That Is what this team needs. Even though the Lakers have an awful system, if you continuously pass the rock, you're going to break down the defense. Passing is contagious and eventually becomes a habit. If you don't incorporate it into your players, they're not likely to incorporate it themselves. The reason why Id go for Thibs is because we wouldn't have to worry about the defense. If JC, Randle and Russell were in their late 20s, I wouldn't want Thibs. However, they're young enough and can take the minutes load. But is Luke capable of setting that up? All he did was take over the system already in place that Steve Kerr got going. Hard to say. It's true that the system was already in place and he certainly wouldn't be bringing Draymond, Steph, and Klay here to LA with him. But Luke is a bright guy, he knows his basketball. He's had several coaching jobs as an assistant, both at the college level and NBA level. And the thing I like about Luke is that he is a fresh face. In sports, you usually hear the same names come up as candidates in coaching hires over and over. It's the same guys who have been hired and fired being considered again. I don't want to see that here. Once Kobe retires, it is a fresh start for the team with these young guys, and they need to go with a fresh face to lead them. Not some old geezer who has been fired from like 2-3 teams. That was then....nothing wrong with revisiting. It may be different a 2nd time around or not. As I stated before, he's who I'd like. Emphasis on he's who "I'd" like. Whoever comes behind Byron, I'll roll with it regardless. Every coach/assistant coach who works at the pro level is smart and knows their basketball. That's not what gets people a head coaching job. What gets a coach into the pros is his ability to develop players, implement a system that works for most of the players on the team, not just one player. Lastly, a good coach is also good at managing a team and having his players buy in to the system. The biggest reason why Blatt was fired is not because he is incapable of coaching at the pro level but because he didn't have the courage to hold EVERY single player accountable, especially LeBron and players in that locker room lost respect for him because of that. That is why Coach Pop is considered by many one of the greatest coach in sports history because he holds every single player accountable, from star players all the way to the 15th man on the roster. You should read Woj's article. Blatt never had a chance with that team. They didn't respect him from day 1, even when he was trying to instill discipline and respect in that locker room. You are right that you need to hold every player accountable, but few coaches have the equity and success to do so. You need a championship coach, and you need players who are receptive to that kind of coaching. That's why Pop is succeeding. It isn't as easy as saying, "You need to listen to me, you need to do this and that." Blatt was dealing with an egomaniac in LeBron who has had tremendous success and won titles. Blatt hasn't. LeBron never wanted him in the first place, Blatt was doomed from the start. He tried to instill accountability early last season, and realized it was futile. Any time you have a coach's successor lined up before he even coaches one game, the guy is doomed. Maybe they were just grooming Tyrone all along? Somebody mentioned that CLE hired Blatt before signing Bron because they didn't realize he would come here. I understand the negative history with Bron and CLE before he signed back but even if your chances were very slim of signing him, shouldn't you have at least left the coaching position available until he confirmed that he wasn't going to sign there? Now all they've done is fired an innocent man and made the franchise look bad. Wow. So then the question becomes, what coach would LBJ like? Who would he not want to fire? Or is there such a person? Now CLE has a rookie head coach, who was a short lived NBA player PG. Let's see how he does. LOL!!!!! !...Well I heard he wanted Mark Jackson but the Cleveland F.O, was having it so I guess Lue was it. 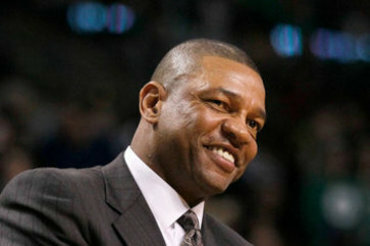 He almost favors Mark Jackson...lol!!!!!! 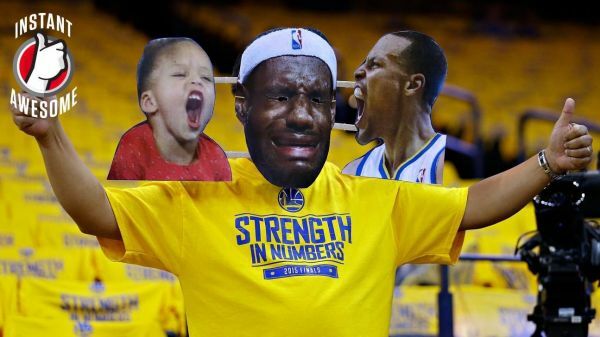 Mods, I'm thinking it's time to combine this with the other thread on Blatt in the Lakers forum area? David Blatt is somewhere with a cigar in his hand smiling....lol. Quick Reply: RE: Cleveland Fires David Blatt. To LA? Rumor: David Blatt Could Be Lakers Next Head Coach.